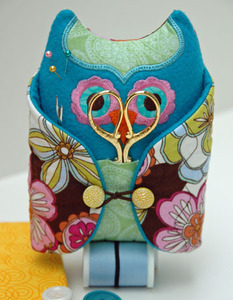 Our Owl Sewing Kit holds some of your sewing necessities & stands by you as you sew. 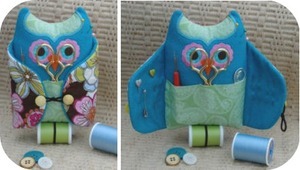 The 3D wings open to store pins, hand needles, safety pins, etc. 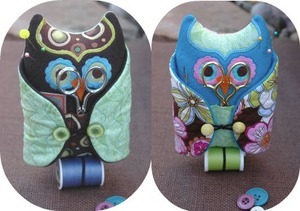 2 spools of sewing thread are secured at the bottom to allow the owl to stand. 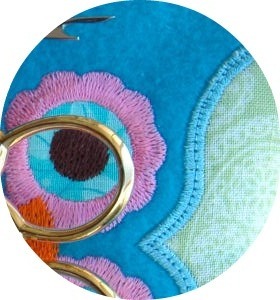 Here's a close up to check out the quality of the stitching. 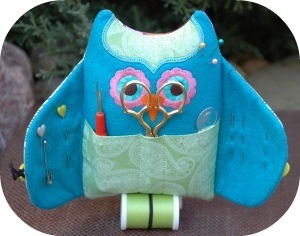 The wings close to keep everything secure.